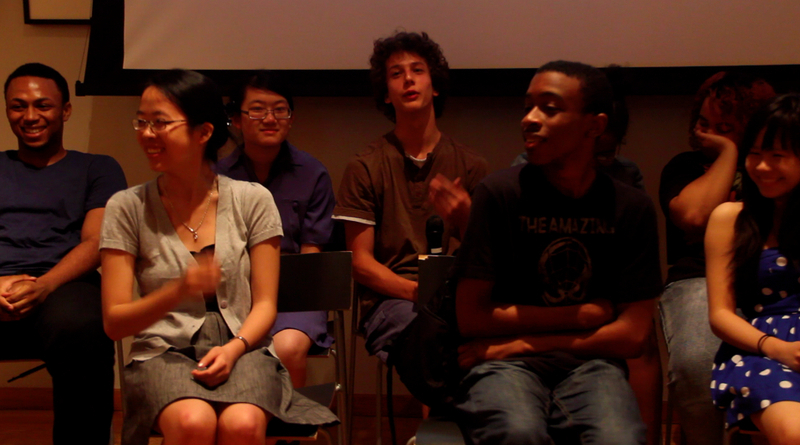 Final Screening at The New School…A Success! Thank you to everyone who attended our final screening on June 21st. It was such a wonderful conclusion to our first ever community externship program at The Video Lab. We were so excited to present our films to such a large and engaged audience. Special guest speaker Simin Farkhondeh, Education Coordinator at Democracy Now! 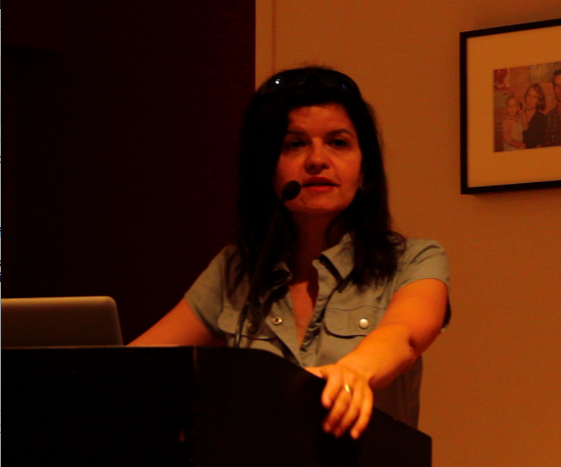 Our guest speaker was Simin Farkhondeh, Education Coordinator at Democracy Now!. She gave us powerful insight into the importance of activist media work. Hopefully our films will be shared with other students so that they are inspired to make media that creates change in their communities too. 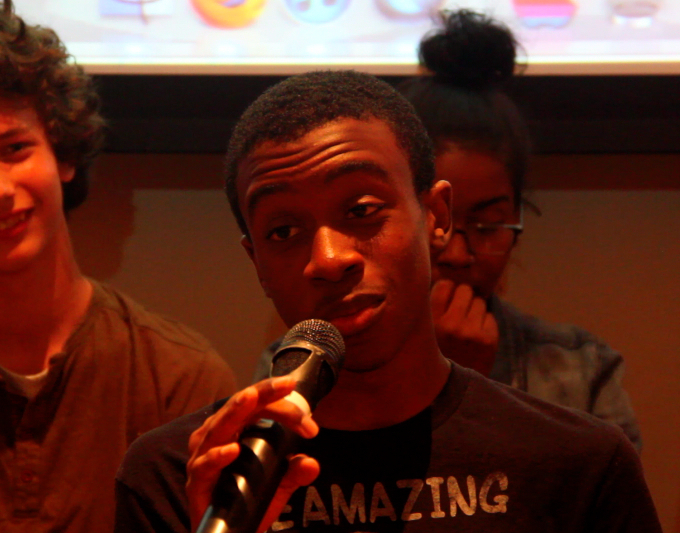 The films for the evening were introduced by Jovon Gilliam, a student who has been with us since we started the program at Eyebeam in March. 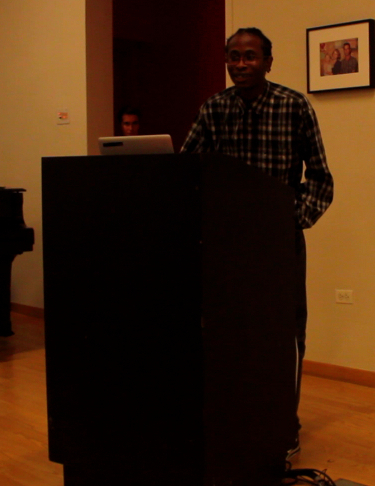 Jovon has a natural talent for entertaining the audience and he was a fantastically eloquent host as he introduced our films for the evening. You can view them all here. We finished our evening with a Q&A session. Media makers Melissa Friedling, Tahir Hemphill, and Ana Barsan set the tone for our final discussion, asking students questions about their processes. You can view the Q&A session here.